Talia Schlanger hosts World Cafe, which is distributed by NPR and produced by WXPN, the public radio service of the University of Pennsylvania. She got her start in broadcasting at the CBC, Canada's national public broadcaster. She hosted CBC Radio 2 Weekend Mornings on radio and was the on-camera host for two seasons of the television series CBC Music: Backstage, as well as several prime-time music TV specials for CBC, including the Quietest Concert Ever: On Fundy's Ocean Floor. Schlanger also guest hosted various flagship shows on CBC Radio One, including As It Happens, Day 6 and Because News. Schlanger also won a Canadian Screen Award as a producer for CBC Music Presents: The Beetle Roadtrip Sessions, a cross-country rock 'n' roll road trip. Schlanger is a proud alumna of Ryerson's Radio and Television Arts program. 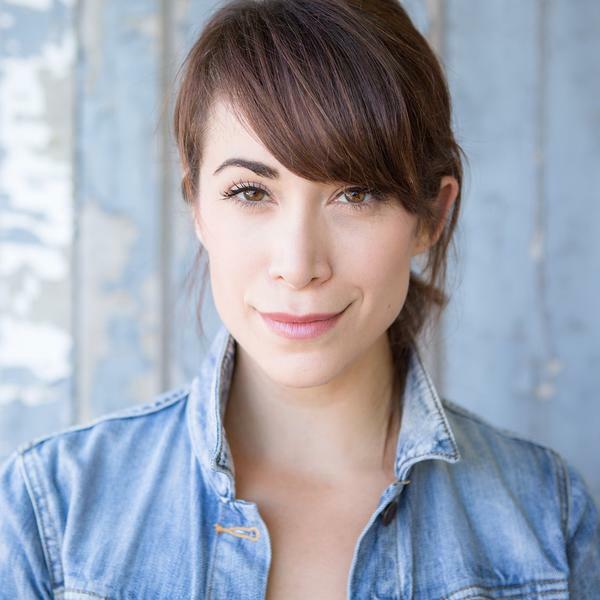 Previously she worked as a professional actress and singer, including performing in the first national US tour of Green Day's rock opera American Idiot, Mirvish Productions' original Canadian company of Queen's We Will Rock You and Mamma Mia!. Born and raised in Toronto, Schlanger denies the accusation that she's biased toward Canadian bands. But she is proud to introduce American audiences to a lot of them.